Gilbert Melendez finally makes his highly anticipated big league debut on April 20th, and he’ll immediately be thrown right into the fire. 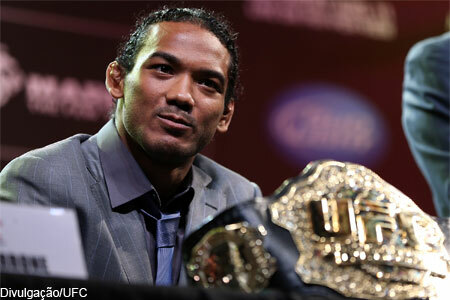 The now-former Strikeforce lightweight champ challenges reigning UFC 155-pound king Benson Henderson (Pictured) for his crown at UFC on FOX 7. Henderson is pegged as slightly more than a 2-to-1 odds-on favorite to retain his title. Melendez, meanwhile, checks in as a +165 underdog. Melendez’s old Strikeforce stomping grounds at the HP Pavilion in San Jose, California hosts the gig.